Why settle a mere list of options for military housing in Jacksonville when you can get so much more from RentJax.com? We offer you the tools and information that you need to find the perfect place for you. Why would you go out, hoping to randomly come across an apartment that has everything you’re looking for? It is much faster and easier for you to trust our team of local residents who are experts on Jacksonville military housing. With a little help from us, you can rest assured you’ll be able to find the best fit and make the best choice when it comes to your new home. 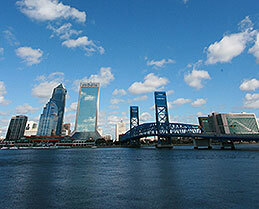 The tools and information that we provide you at RentJax.com are unrivaled in this industry. Have you seen another site that boasts an apartment guide with more than 300 filter options to help you refine your search, ensuring you only see military housing in Jacksonville that has everything you need. We also host comprehensive listings on each place, covering everything there is to know about it -- generally, even more than their website tells you! Why go this extra mile? Because we know how important it is to have the most information when you’re making this kind of decision. It’s the same reason we offer relocation guides and an interactive map to give you a feel for not only the military housing in Jacksonville, but also the area. After all, it's your home. As if the tools and information didn't win you over, we also have an amazing team here at RentJax.com. These local residents regularly review your questions, creating thoughtful answers to each and every one. The most common ones are posted on our site weekly, creating a compilation of more than 340 FAQs. You can trust that they know what they're talking about because they've inspected almost all of the Jacksonville military housing options. In doing so, they ensure you have the most up-to-date information available. We are well aware that you want to have all the answers before deciding on your new home, so we do our best to answer them. No matter what you need, we're here to help you find the best military housing in Jacksonville for you. I can't decide if I should pay for an upgraded Jacksonville apartment, what are the benefits of wood or tile floors over carpeting? I have 2 dogs, will I need to pay a double pet fee at military housing in Jacksonville? I’m moving into military housing for less than a year, is there anything I should know before signing a short term lease? What are the rules for having a grill on my balcony or patio in military housing? Why do I have to pay an application fee for military housing in Jacksonville? When you've got some free time, there's nothing like relaxing on the couch and watching your favorite game or show (or even game show). To make sure you can unwind, a lot of the military housing in Jacksonville offers cable packages. This way, you've got your TV taken care of all the time! Staying in shape is important for your career, as well as your health! 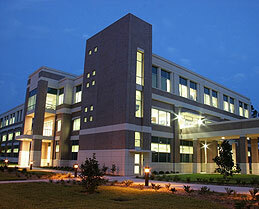 It's no wonder that most Jacksonville military housing options come complete with their own fitness centers? Choose from decked out gyms to sponsored classes to find the perfect thing to keep you in tip top shape. Find a place that's away from the rest of the world, offering with it serenity and peace of mind. You can't be turned “on” all the time; that's why there is so much Jacksonville military housing that offers you the sort of community you're looking for. Go ahead and relax. Whether you use it for working out or taking a break, it's always pleasant to have a pool on site. Plenty of the options for military housing in Jacksonville come complete with their own pool for you to enjoy. The Florida sunshine can be awfully rough, so what better way to cool off? 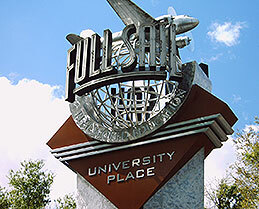 What Makes Us Different?We're not here to "upsell" you into Jacksonville Military Housing you can't afford.